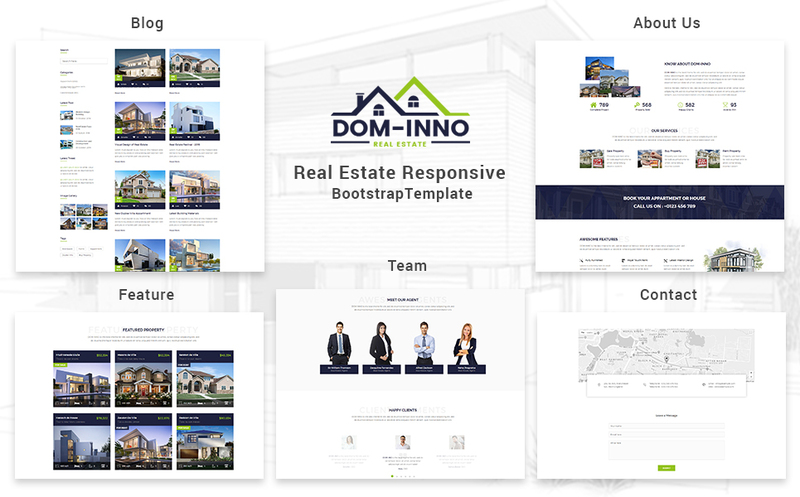 Dominno - Real Estate Responsive Bootstrap Template is a stunning HTML directory website template. This responsive real estate template allows you to display lots of properties, and helps to build communication with potential buyers.Dominno is built based on Bootstrap 3 framework so that easy to use and full of flexibility. Actually, editing and adding your own content is quite easy.This modern but simple design provides 16+ Homepages Style, along with total 105+ HTML Pages. The powerful features of Dominno are Amazing Mega Menu, Awesome Box Layout, Different Color Option, Google Fonts & Material Icon Font, 44+ Shortcodes Pages Element, Well Commented HTML & CSS Files, and Shortcodes Ready. The web browsing experience will be smooth because it is tested on all browsers.Whether you are a property manager company or real estate developer, you will need of a website. Try Dominno – Real Estate Responsive Boostarp Templae today!Note: Images are not included.